Maurice Lévy has vowed not to be the puppet master pulling Arthur Sadoun's strings when he hands over control of Publicis Groupe to his protégé. The assurance follows the announcement that Lévy’s 30 years as chairman and chief executive of the world’s third-biggest communications group will end in June. Succeeding Élisabeth Badinter, daughter of Publicis founder Marcel Bleustein-Blanchet, Lévy becomes chairman of the supervisory board. Lévy, 74, said he expects Sadoun, 45, to do things his way – just as Bleustein-Blanchet had allowed him to do when he took the group’s helm. "While Arthur and I share exactly the same values, I think he will bring a different style – for one thing, he has more empathy than I do – and he will do lots of things that are of his own making," he says. "He will not be a clone and my job will be to help him." Lévy says his relationship with Sadoun would likely mirror that between him and Bleustein-Blanchet, with whom he did not always see eye to eye. "Marcel was never enthusiastic about our expansion into the US because he didn’t believe we could give the market anything it hadn’t already got. It was the same with China," Lévy recalled. "Arthur will have his own views and it will take him time to get the measure of the task." As part of the new structure, Steve King, Publicis Media’s chief executive, also joins the supervisory board – a move that Lévy acknowledges will see the Briton play an increasingly influential role within the group. Some onlookers are surprised that King has not been joined by Alan Herrick, American chief executive of Publicis.Sapient – now the biggest unit within Publicis. Lévy, though, insists that Herrick, who leads one of the group’s so-called "solution hubs", would play a key advisory role. The changes take place amid speculation that Publicis could be a takeover target. Capgemini, the France-based multinational IT consulting corporation, has been a name in the frame, although Lévy is dismissive of the idea. He claims that it amounts to one analyst’s view that the pair would make a neat fit but is no more than speculation. Lévy is also sceptical that Publicis might seek another global partner following the collapse of its proposed merger with Omnicom – a personal humiliation. "It was clear that the merger of equals that we wanted would not happen and we decided to exit what would have been a disaster," he says. "Would we ever do something like it again? I don’t know, but I don’t see anything happening in the foreseeable future." Asked to define his legacy at Publicis, Lévy cites what he believes has been his transformative effect on the group through his ability to see what’s coming and preparing for it. "I anticipate moves like a good chess player," he explains. "It’s a game we’ve always played well at Publicis and it has transformed us from a medium-sized operation into a global giant." 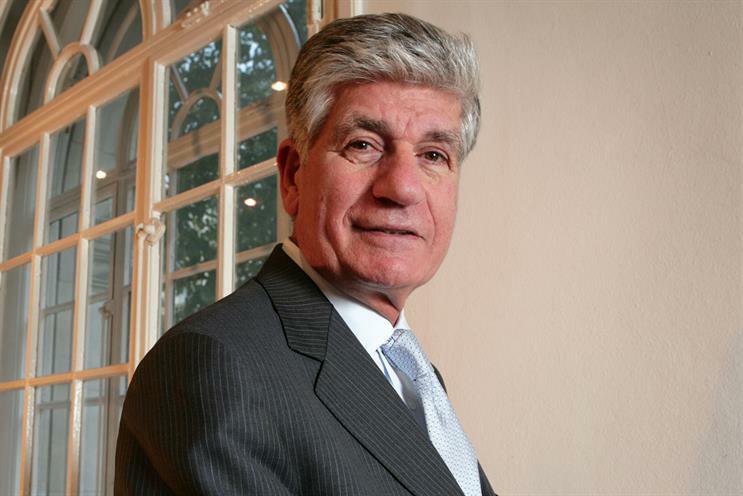 Lévy insists Publicis is the perfect "go to" company for clients, combining a system of "solution hubs" with outstanding capability in technology and digital. So much so that its number three global ranking is really number one when it comes to digital expertise, he claims. He accepts that his chairmanship of the supervisory board will inevitably end his day-to-day responsibilities but stresses: "I’m not going fishing." A married father of three sons and with six grandchildren, Lévy says his first priority will be his family. "They are the most important thing to me and I’ve underinvested in them in terms of care and attention," he acknowledges. There will be time to concentrate more fully on other long-term interests, especially in promoting greater harmony between Israel and the Palestinians. He is chairman of the international board of governors of The Peres Center for Peace, which was established by former Israeli president Shimon Peres to promote bridge-building initiatives. Closer to home, Lévy is likely to increase his involvement with the Paris-based Brain and Spine Institute and the Pasteur-Weizmann Council for biological research, particularly into cancer. Meanwhile, he expects to extend a long-time love affair by becoming a private investor in some digital projects. None, though, will conflict with what Publicis is doing, Lévy adds. What does a man who insists "I’ve lots of energy and my brain works well" think about whether his peers – such as Omnicom’s John Wren, 63, and WPP’s Sir Martin Sorrell, 72 this month – should also be calling it a day? "Each group must make its own decision," Lévy says. "But when you look at people like Facebook’s Mark Zuckerberg and Sheryl Sandberg, 32 and 47 respectively, you see how people are attuned to them. A bit of grey hair is fine – but maybe not white." "Huge news. There is bound to be change, but what will be interesting is what it is that he chooses to change. Anyone leading any organisation has to be incredibly thoughtful of the talent that they’ve got and I doubt any new leader of any organisation can do it like the old one did, just because the world is changing and we are all thinking differently. So it would be very interesting to see what he [Sadoun] does on that front." "First off, succession planning is hard – really hard. It’s especially hard when the person being succeeded has been at the helm for 30 years. I give Maurice and Publicis huge credit for such long-term, diligent planning. "Second, Arthur – who I have worked with – is an incredibly talented leader who has been groomed for this role over a number of years. He is super-smart and, I have to say, super-intense. With respect to Maurice (and who doesn’t respect him for the empire he has built? ), this is great news for Publicis and therefore the industry. "Arthur is a powerful change agent. He not only preaches change – something that is commonplace in our industry – but he knows how to practise change. Overall, this has been an exemplary process. His ascent is deserved and I truly wish him well." "With these groups – it’s the same with WPP – you’re trying to find a successor for a giant and it is an incredibly difficult thing to do. "Satya Nadella is a good example of someone who came from within and does a good job. I liked it when he took over the job at Microsoft and described it as an ‘outsider insider’. He understood the company and how it worked, understood the culture, the legacy and the history and the momentum of the company, and had the ability to look at it as an external person and make tough decisions that perhaps the incumbent had not been able to make. "The next few months will be interesting – the key people who stay or leave, who becomes his confidant etc."